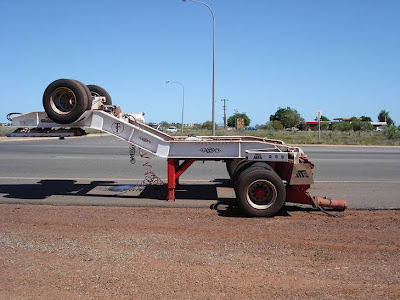 Some impressive photos this week of a broken float. 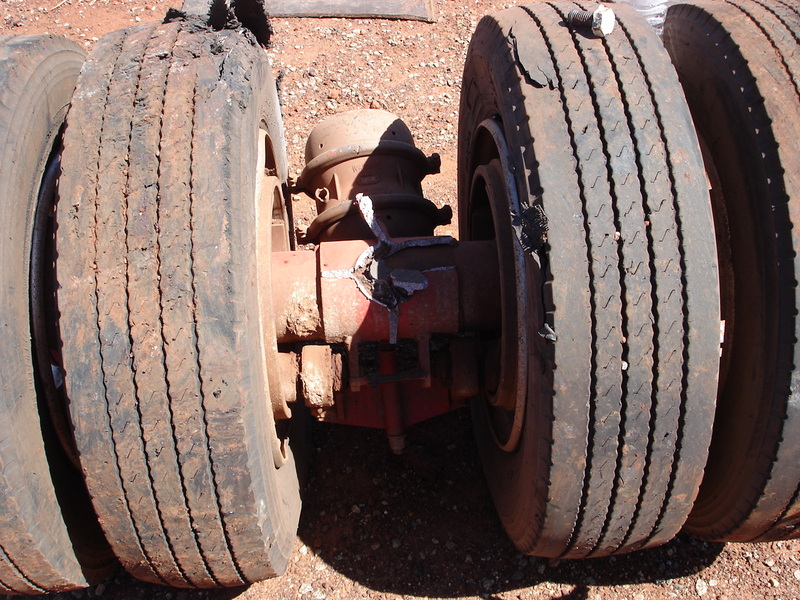 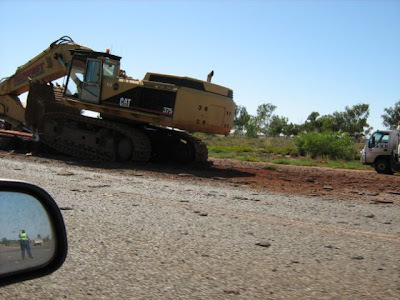 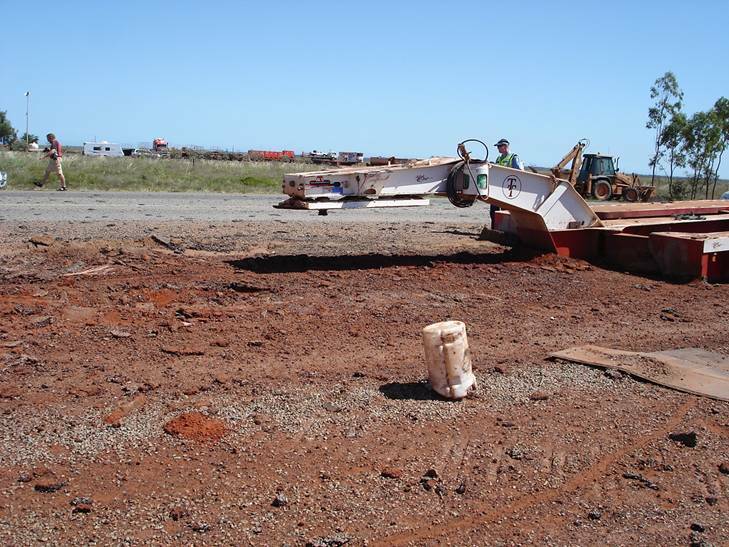 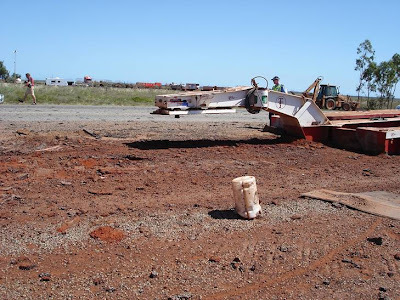 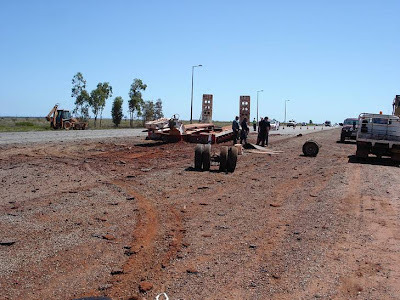 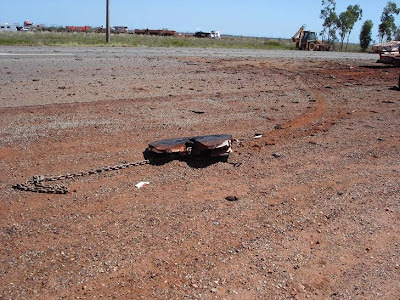 From the email I received with these photos, this occurred near the Christmas Creek mine in the Pilbara, Western Australia. 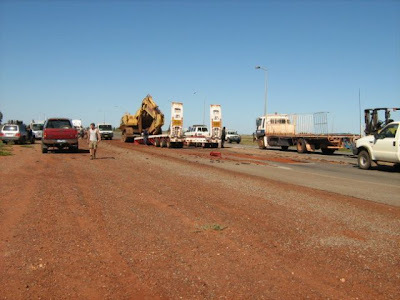 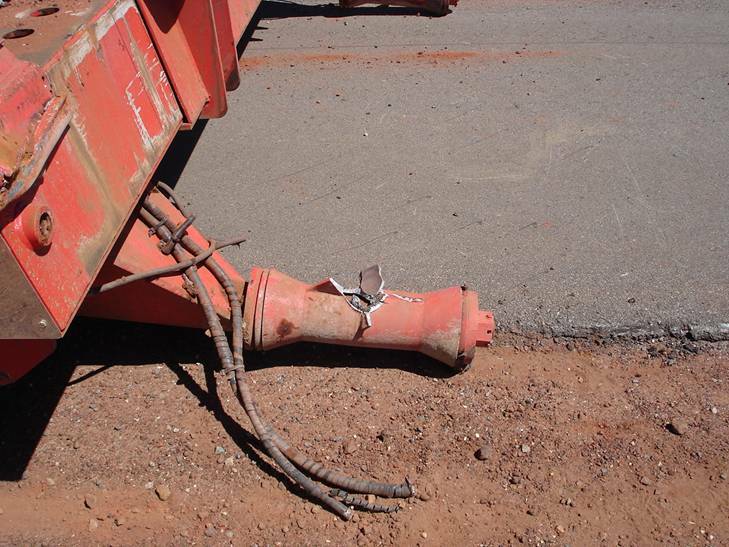 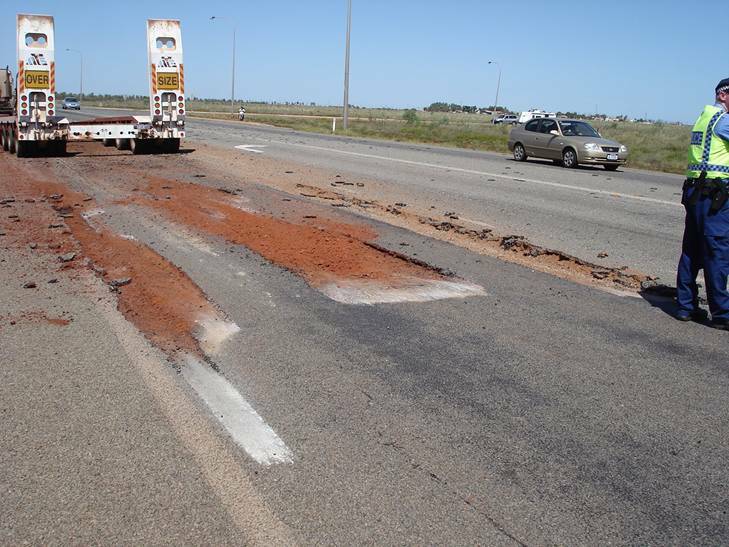 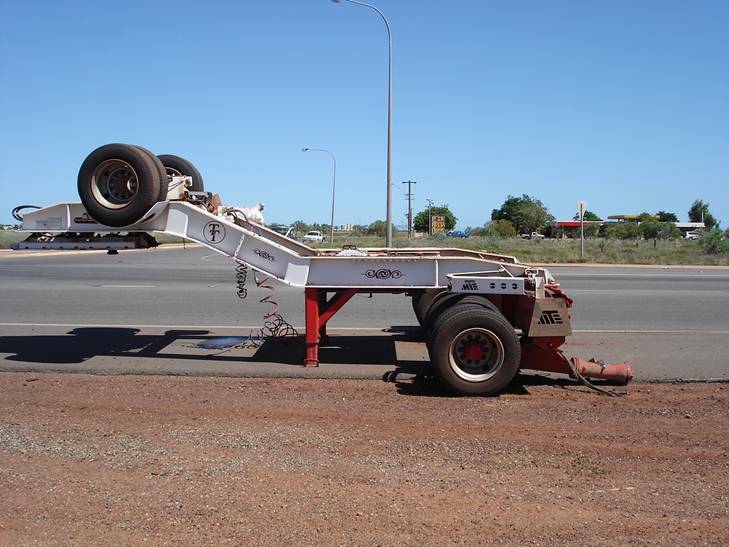 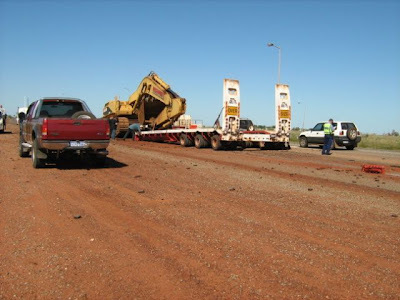 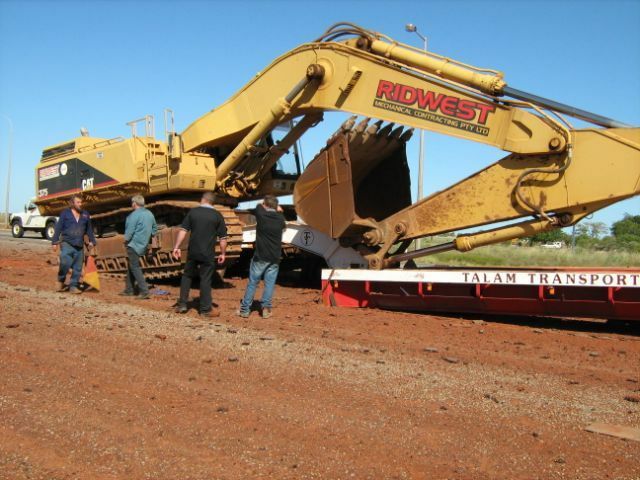 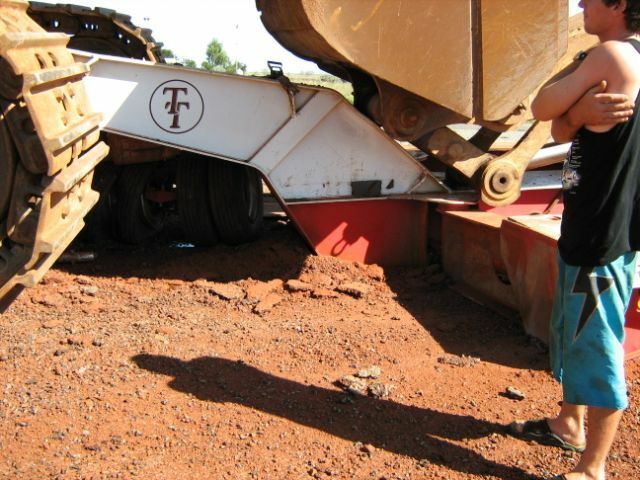 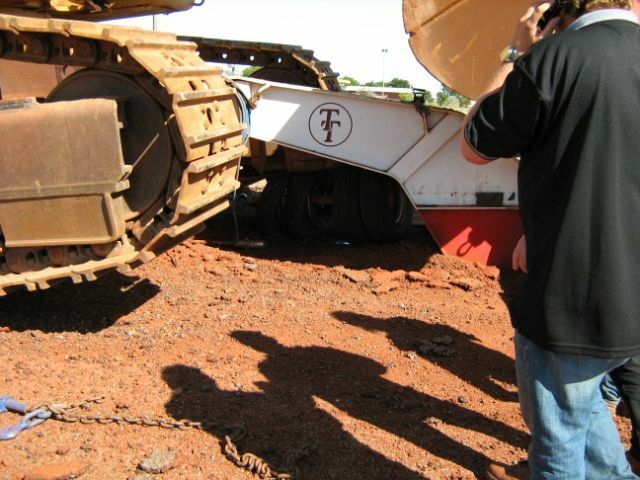 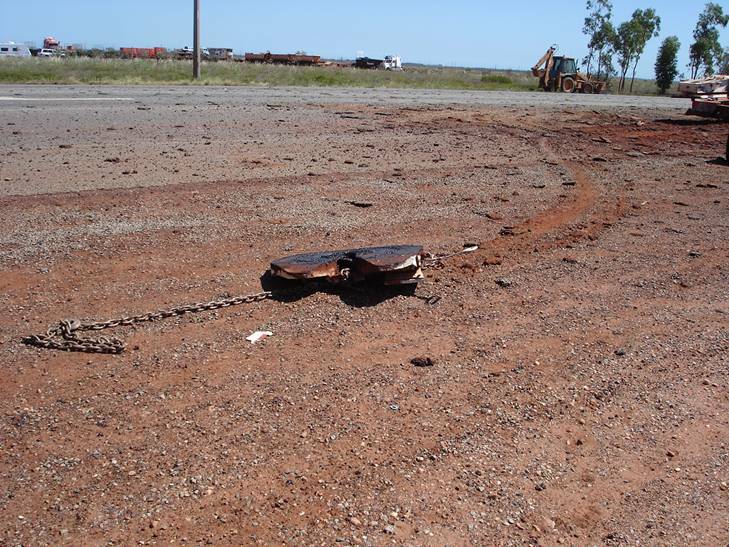 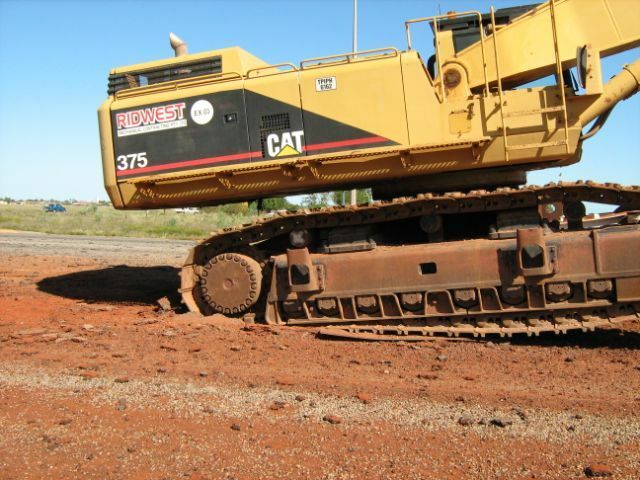 A car cut in front of the truck causing the chains holding the excavator to break when the truck drive applied the brakes.